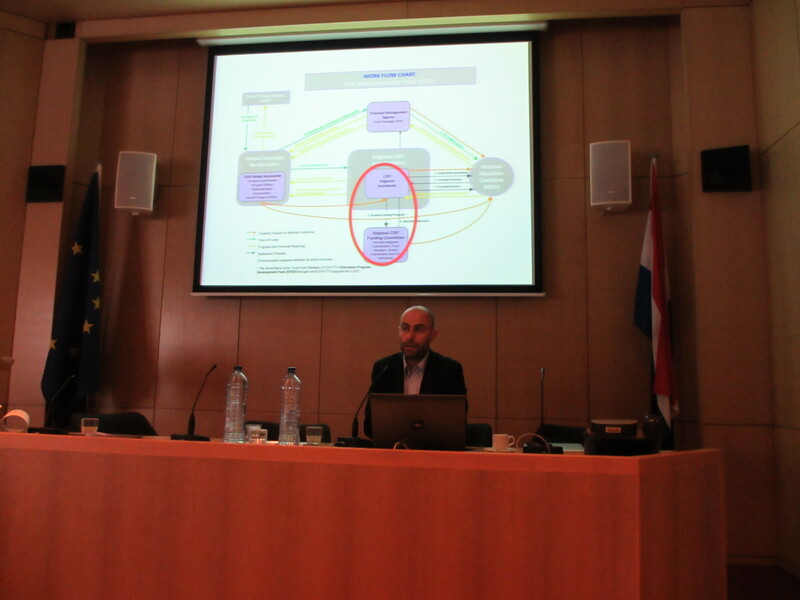 The IS Academie Education and International Development in cooperation with the Social Development Department – Education and Research Division (DSO/OO) (Ministry of Foreign Affairs) and Global Campaign for Education (GCE) Netherlands organized a research dissemination session on the 21st of March 2013 at the Ministry of Foreign Affairs, The Hague. Please find the programme of this IS Academie EID event here. 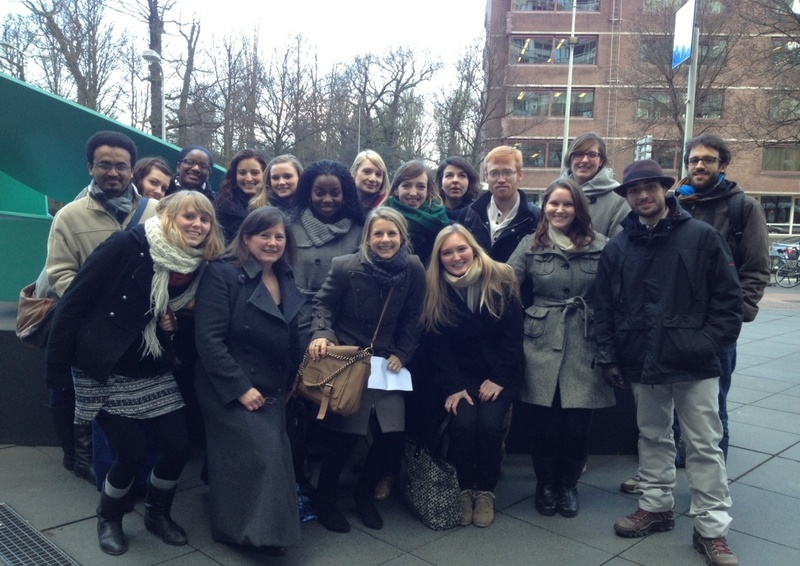 As part of the masters course ‘Education, Globalization and International Development’ on 21 March 2013 students from the University of Amsterdam visited the Dutch Ministry of Foreign Affairs in The Hague. Aim of this visit was to provide students with inside knowledge on current debates within the field of education and international development and to give them the opportunity to connect to actors from the field of education and international development. The network lunch was assessed as an interesting and insightful activity because it enabled students to hear actors reflect on career tracks and options and allowed them to network with staff from the Ministry, academics and civil society for future research and job opportunities. The presentation of research findings that followed the network lunch was another valuable activity that gave insight into research experiences of former students. Karen Smith presented the conclusions of her thesis on the needs of SRHR for both sexes in Kenyan Maasai land, and how teachers’ identity and agency are used and limited in this context. She made interesting reflections and recommendations with regard to ensuring access to condoms, empowering both genders without distinction and the involvement of teachers at community sensitization programmes. In her presentation, Ayana Fabris elaborated on her thesis on education policies in the Mindanao conflict and on the ways in which the Islamic Development Bank and USAID promote an identity supremacy or pluralism. She concluded by stating that neither of them are creating a conducive environment for creating a collective identity. 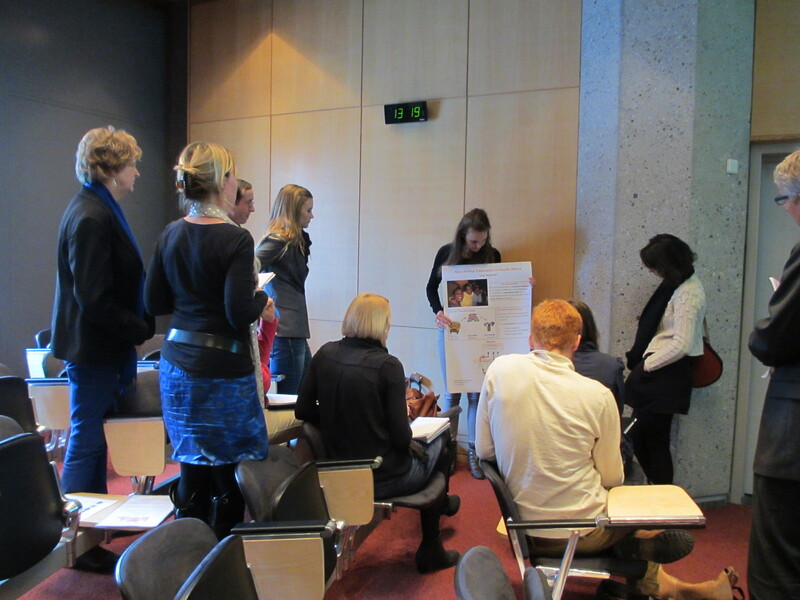 The presentation of Loes Bijleveld on non-formal education in South Africa, specifically its contribution to educational rights and social inclusion, noted that informal education does not replace formal education, but is complementary. Bijleveld’s research concluded that non-formal education contributes to educational rights but only in a limited way, improving only quality of education and not access to schooling nor social inclusion. Finally, Joëtta Zoetelief presented on Bolivian teachers’ perceptions on the new education reform under the government of Morales, which focuses on decolonization and encourages intracultural, intercultural and plurilingual education. Zoetelief stated that the new education reform reveals a Western-indigenous tension: with some teachers perceiving that Western knowledge and languages provide them with more and better opportunities but with decolonization programmes emphasizing the importance of indigenous cultures. She suggests research that acknowledges the complexity of culture. The final part of the day consisted of a presentation by Antoni Verger (GEPS) who spoke of the increasing and important role of civil society in development, especially within the Education for All initiative. He paid special attention to CSEF (Civil Society Education Fund) and the role that this has had in increasing funding support for civil society National Education Coalitions (NECs) as well as supporting an increased influence of these coalitions on education policies. It was reported that whilst evidence was found that the latter goal had been achieved to some extent, the former goal had failed due to some key barriers. Conclusions stated that things could still be very much improved, including the need for a stronger ‘identity’ and focus. Recommendations were put forward to promote greater inclusiveness, and the need to strengthen policy discourse and the analytical capacity of NECs. Despite these areas for improvement, the presentation showed an important role for civil society in forming educational policies and stressed the need for continued support of this role through organisations such as CSEF. Please find the CSEF evaluation report here. 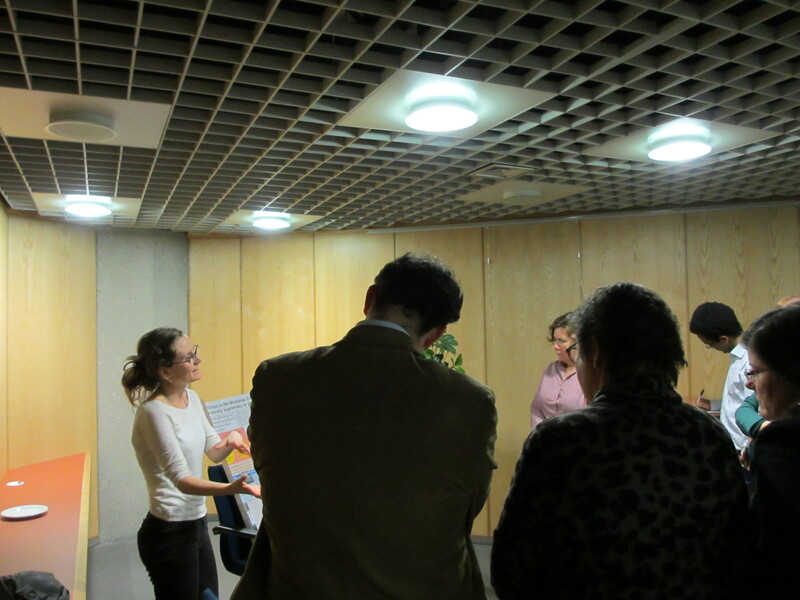 In conclusion, students perceived that the visit to the Ministry of Foreign Affairs provided them with a variety of information and networking opportunities, especially useful to those Master’s students preparing to carry out their research in education in the developing context. 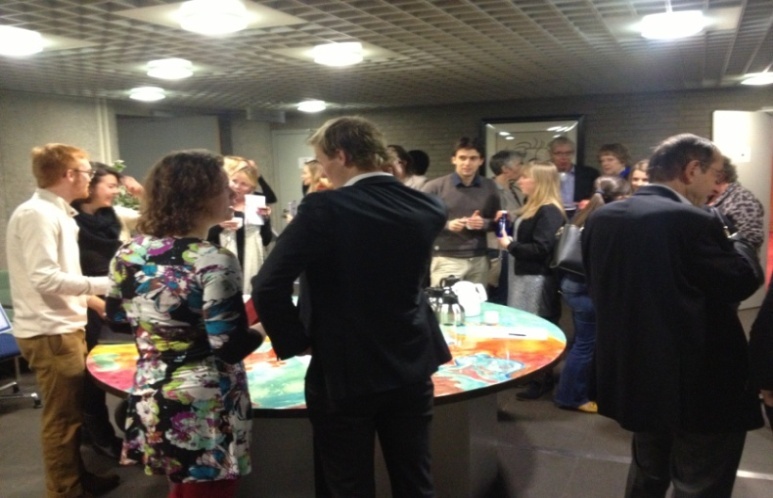 In addition, it was a unique opportunity to gain insight into some of the inside workings behind Dutch foreign policy and the way education policy has developed over the past decade. Finally, it presented students with a better understanding of the working relationship between the Ministry and the UvA and the role of the IS Academie. For a full length report of the day, including detailed summaries of the presentations mentioned above, please click here. Ayana Fabris (2013) – Education policies in the Mindanao conflict: promoting an identity supremacy or pluralism? Joëtta Zoetelief (2013) – Bolivian secondary school teachers as agents of intracultural, intercultural and plurilingual education?